Unseasonably heavy rains have damaged Cuba's tobacco crop and raised questions about iconic cigar brands that some aficionados hope will not suffer from declining quality amid higher demand. And while foreign sales rose healthily last year, Cuban cigar industry officials say they have seen little impact on domestic sales from a boom in tourism that has brought hundreds of thousands of new visitors to Havana. That may be partly because while some tourists visit official cigar stores, many others buy pilfered or counterfeit substandard smokes on the street, further damaging the image of the Cuban cigar. 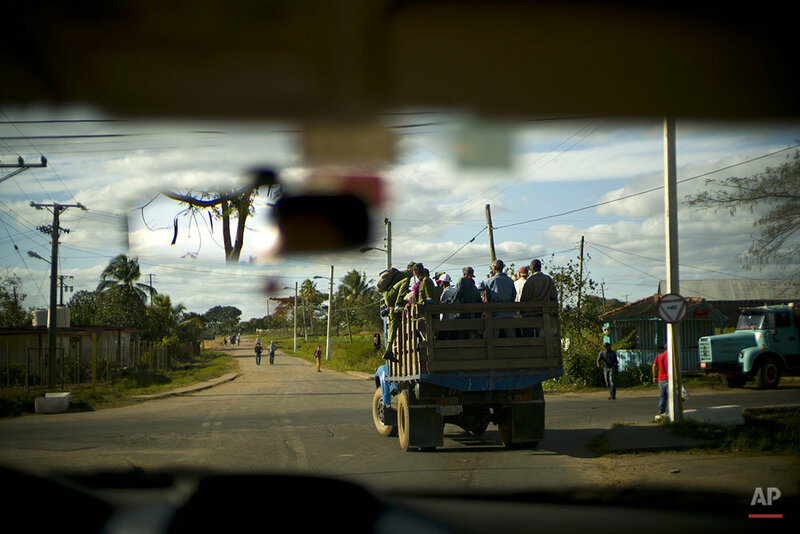 Still, the industry's problems haven't kept farmers in Cuba's tobacco country from benefiting from the tourist boom by converting their farms into tourist attractions, where busloads of foreign visitors can delight meals of roast pork, rice and beans and rum drinks. The Montesino farm in Pinar del Rio province has been in the same family for three generations and is one of the most renowned Cuban tobacco producers. Each day, it receives tourists on group visits organized by state tourism agencies. Foreigners by the hundreds receive lectures on Cuban tobacco along with a meal and cocktails. 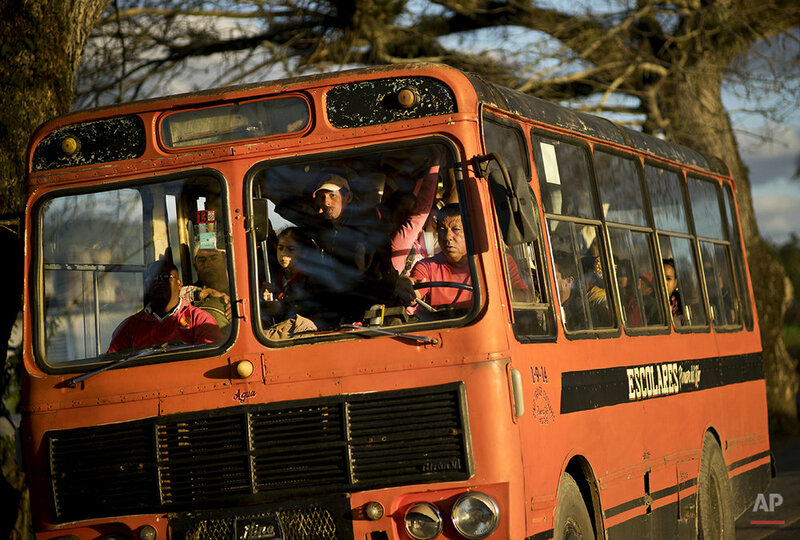 Despite the flood of visitors, some aspects of life in the province's central Vinales valley have changed little. Parents take their children to school on bicycles. Farmers haul tobacco leaves to be dried on ox-drawn carts. 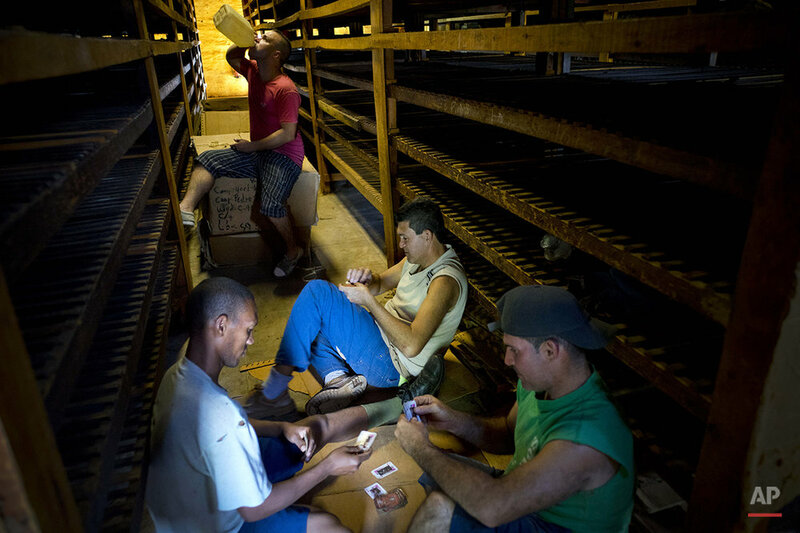 Tobacco workers nap under racks of drying leaves. Workers say they're eager to see more benefits of Cuba's increasing links to the outside world since the start of new relations with U.S., without losing the placid lifestyle of the last half-century. 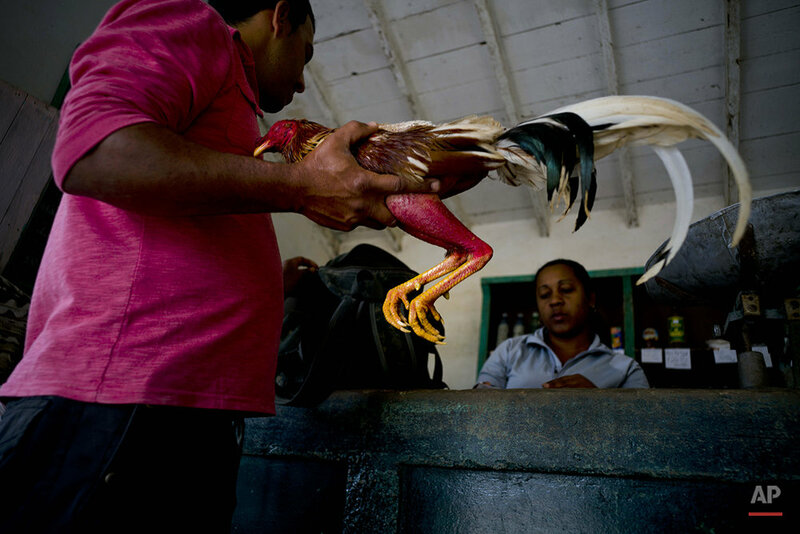 Text from the AP news story, AP PHOTOS: Cuba's tobacco country becomes tourist attraction, by Ramon Espinosa.